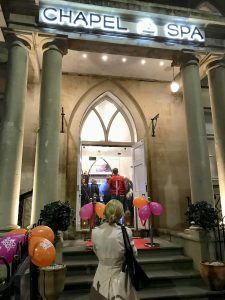 “To ease away the stress of life”, that’s the mission of Chapel Spa in Cheltenham and what a truly fabulous mission it is. 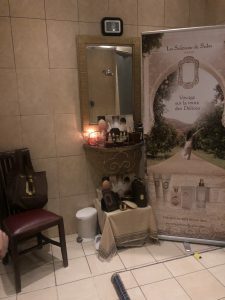 As I stood on the balcony during last week’s Open Evening, just listening to the therapists describing and demonstrating the magic of their products was enough to move me into spa like trance and I couldn’t wait to try them out for myself! 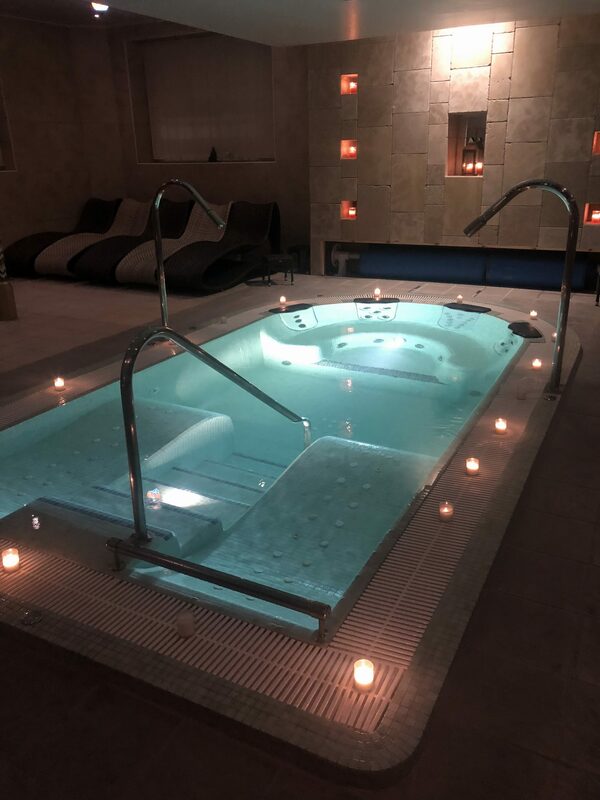 Chapel Spa with its Mediterranean style décor is the ideal day spa retreat to relax and escape from everyday life. 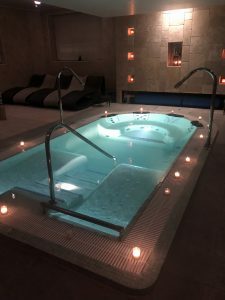 There are seven fabulous treatment rooms, a blissful hydrotherapy pool, candlelit relaxation area, steam room, gym and Arabian Rasul. What else could you possibly need? 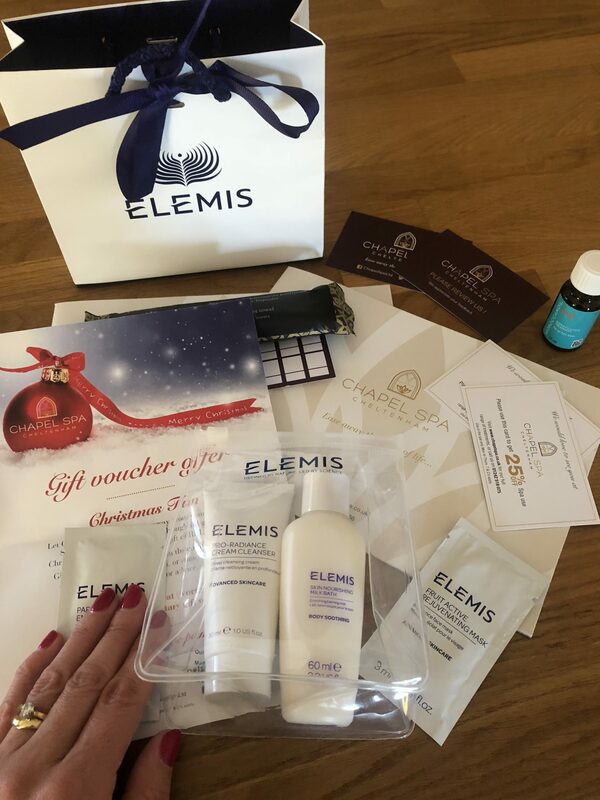 With the offer of oodles of prosecco and canapés, a gift bag worth over £30, a tour of the candlelit spa and Arabian Rasul, 10% off all treatment, product and voucher purchases AND treatment demonstrations by Elemis and La Sultane de Saba. The Open Evening on Thursday 1st November was just too good an opportunity to miss! After a warm welcome to Chapel Spa by owner Mr Mina Louka, there was a lovely introduction covering the spa spirit and values by Customer Development Manager, Lisa Bradley. 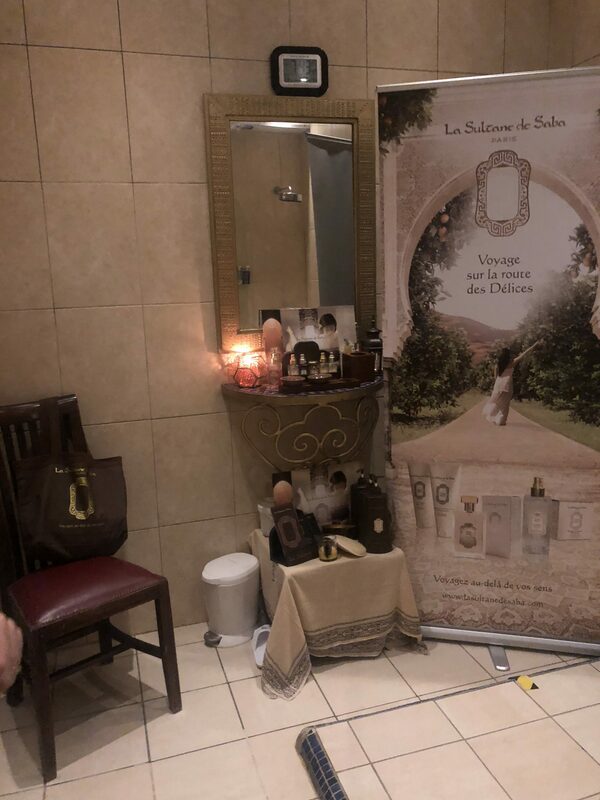 This was followed by a particularly engaging talk by Amanda from La Sultane de Saba, a range inspired by the beauty traditions of the mystical Orient where we were taken on blissful spa journey of this luxury artisan skincare. Last but not by no means least, Suzanna from Elemis treated us to an insight into the pure and natural beauty of this award winning #1 Luxury British Skincare Brand. And if all of the above wasn’t fabulous enough, the whole event was also the opportunity to support fundraising for Breast Cancer Care with three amazing raffle prizes on offer. Sadly I missed out on winning anything but I’ve not given up hope- I’ll be back next year for another go! 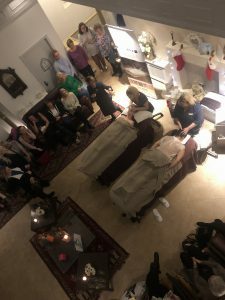 Many thanks to Mr Mina Louka, Operations Manager Abby Locke and Customer Development Manager, Lisa Bradley for the opportunity to attend the Open Evening. All views and opinions are my own. Thank you for visiting LadyJaney. Sign up today for free and receive notifications of all new posts by email. Customer Service Surveys- Are they worth it?